If you find yourself eating junk food snacks at work to fill your appetite then stop what you’re doing…cause I’m about to ruin…that junk food fix that that you’re used to. You know you’re much better than that crappy candy bar or boring bag of chips. You deserve more! Here’s a healthy sweet tasting snack that’ll fill your craving without the unwanted calories. Before you leave for work in the morning quickly mix together 2 tbsp of balsamic vinegar with 1 tsp brown sugar. 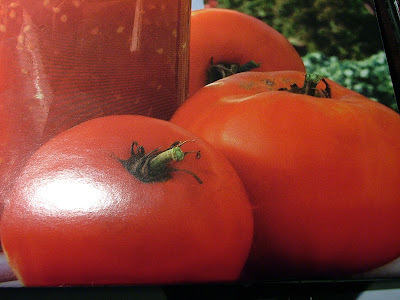 Put it in a small container, grab a ripe tomato from your counter then off to work. When you’re snack craving arrives, slice up the tomato, drizzle with your vinegar and balsamic mix and sprinkle on some black pepper (there’s always some hanging around the office somewhere). It’s a tomato treat that’ll satisfy your sweet tooth and still have you feeling great about what you eat. The best part is it’ll give you something to talk about…unlike the same ole fatty snacks you buy at the convenience store.